Building the ground force for clean tech growth and job creation. Transforming higher education into the innovation hub for a clean energy society. Campaign to fight for the rights of every community to have access to clean air and water, healthy food and an EPA that’s allowed to do its job. 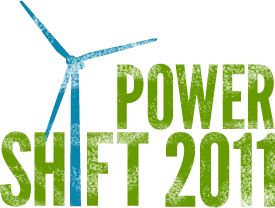 For more information on how to get involved, visit Power Shift 2011.